Giant Loop Snow Anchor Strap Kit includes everything shown in this photo. 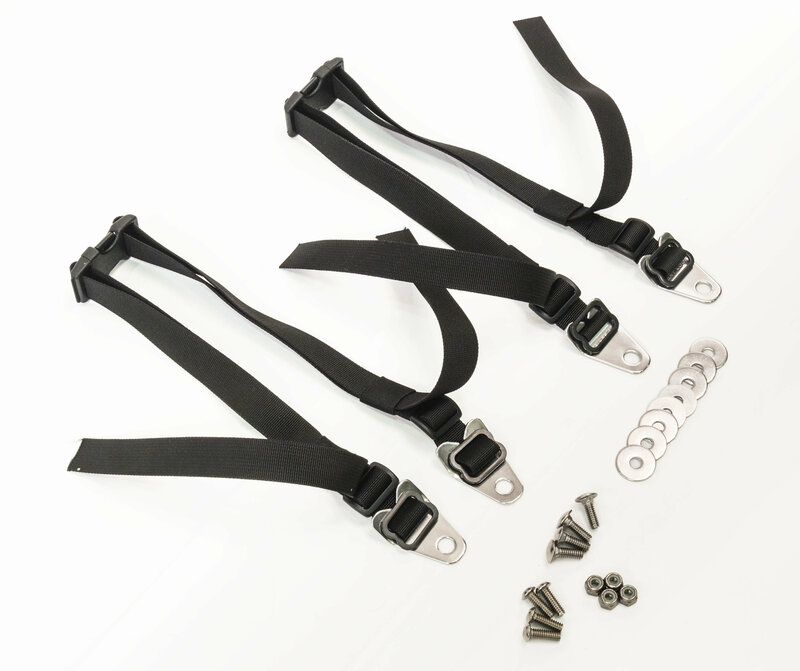 Combine the lightweight, militrary-spec Anchor Strap Kit with Giant Loop’s expedition ready waterproof/mudproof/snowproof/dustproof Dry Bags for the ultimate packing solution for snowmobiles, snow bikes (Timbersled, Yeti Snow MX, CMX, MotoTrax, Camso), ATVs, UTVs and overland 4×4 vehicles. Perfectly pairs with Giant Loop’s 1-, 2-, 3- and 5-gallon Gas Bag Fuel Safe Bladders too! This set of 2 heavy-duty yet lightweight Anchor Straps is constructed with 1″ nylon webbing, military-spec side-release buckles and fasteners, securing to tunnels, decks, storage boxes, etc. with 4 stainless steel GL mounts with included stainless steel hardware (washers, nylock nuts, carriage bolts and button head bolts).